I have seen many people do the obvious: waste time. I have worked with people who gave lame excuses for not finishing tasks within the specified time. It is always sad to be behind schedule. What’s even worse is that you cannot do a better job in the last minute rush. For many people, failing to meet deadlines is an art because they are completely ignorant of the fact that it is difficult to complete assignments without planning their time. The good news is that there is an easy way to manage time, so that you complete tasks early you can also see Timesheet Template. There are two types of employees: those who work normal hours and those who work normal hours plus overtime. The time an employee agrees to be at work almost always depends on the job contract. Some people decline to work overtime for genuine reasons, and, as such, employers often employ them in good faith. Recording the overall time an employee has worked is essential. A supervisor can record the total number of hours worked with the help of a daily timesheet template. The timesheet template for ever employee will be used to help determine how much salary an employee should receive. A daily timesheet is a good tool to use if you want to track the time worked by casual worker. 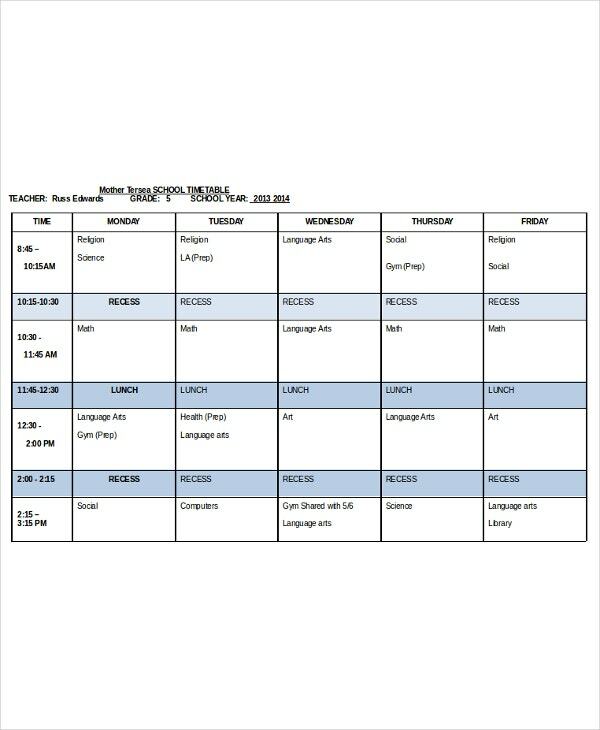 Please note that this template has the layout for daily time tracking. You should not waste time modifying the template for weekly or monthly time tracking. Use the templates below instead. 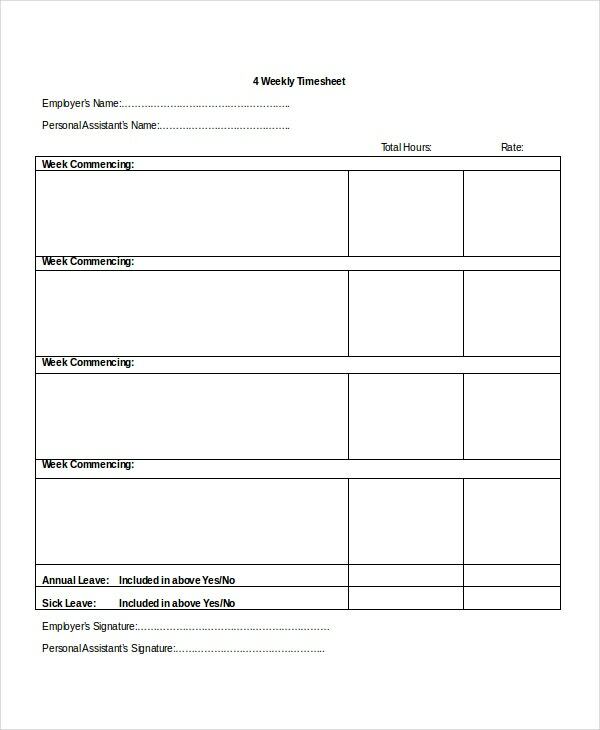 A weekly timesheet template is used to record the total number of hours an employee has worked in a week. The timesheet must have the name of the employee, their mobile phone numbers, and postal address. Then number of hours worked overtime must be recorded. You must add the overtime to the normal hours to get the exact total number of hours that an employee spent at work during the week. 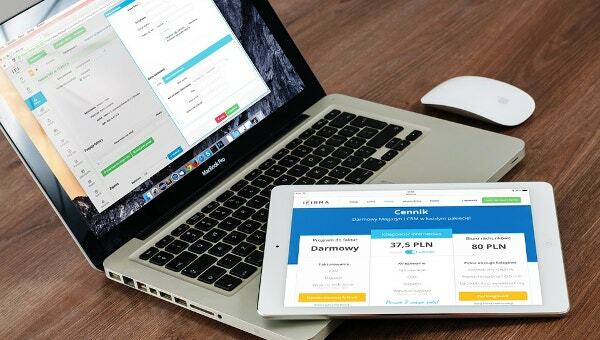 Are you wondering how you are going to create a monthly timesheet from scratch? It is not that you don’t know how to design the tool; just that the thought of spending too much time working on the project is quite overwhelming. In the end, you only have two choices: to hire someone to design the template for you or to forget about using a timesheet in your business. 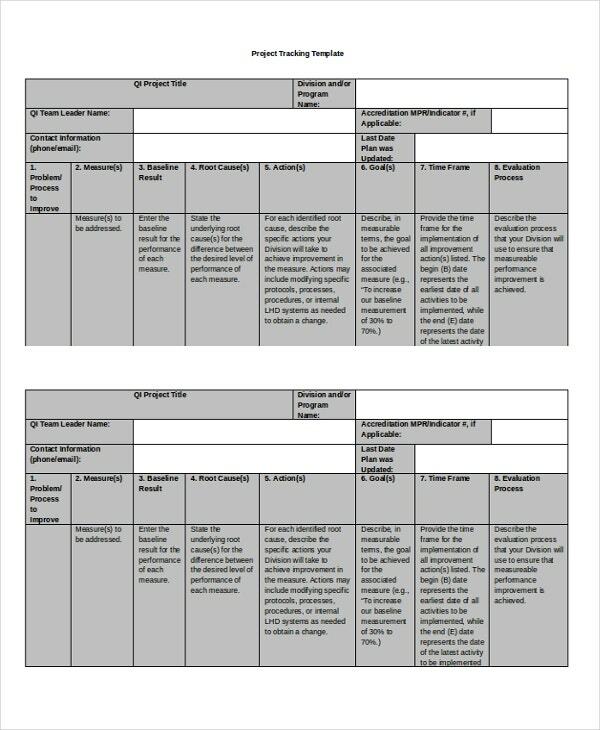 > What is a Timesheet template? It is good to have workers in your company. In fact, employees are the ones who almost always determine the future of your company. Regardless of a thought like this, employees often need policies that can guide them in the company. 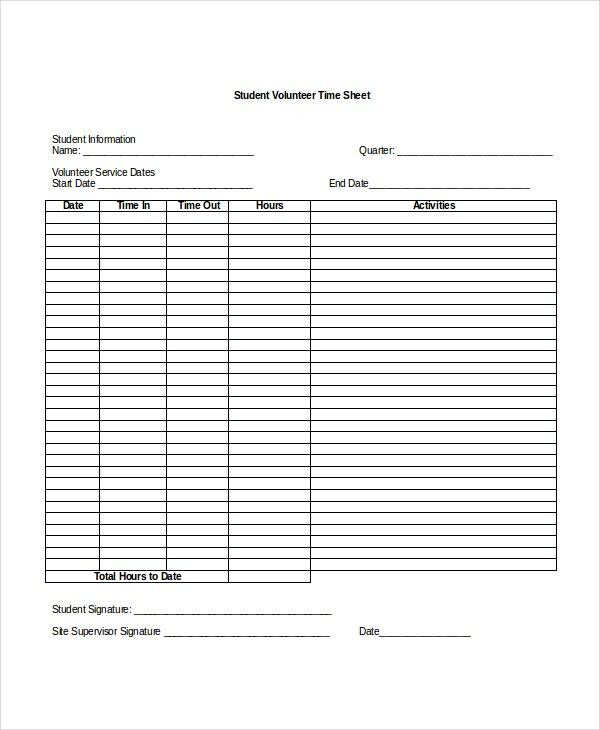 The guidelines include their responsibilities and the time scheduled for every assignment, and this is where printable timesheet templates come in. The template will help you to record the amount of time a worker spends on each assignment. 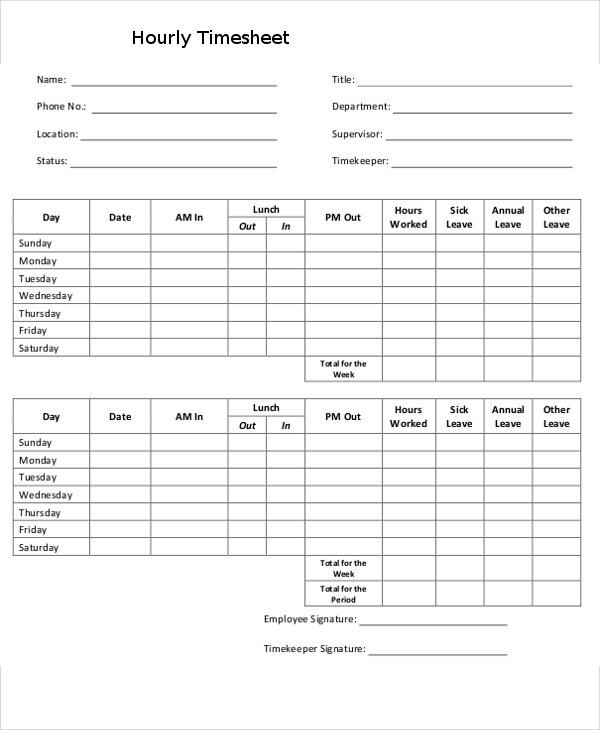 Traditionally, people used squared papers and pens to record the data, but timesheet templates are digital papers that you can manage using your computer system. 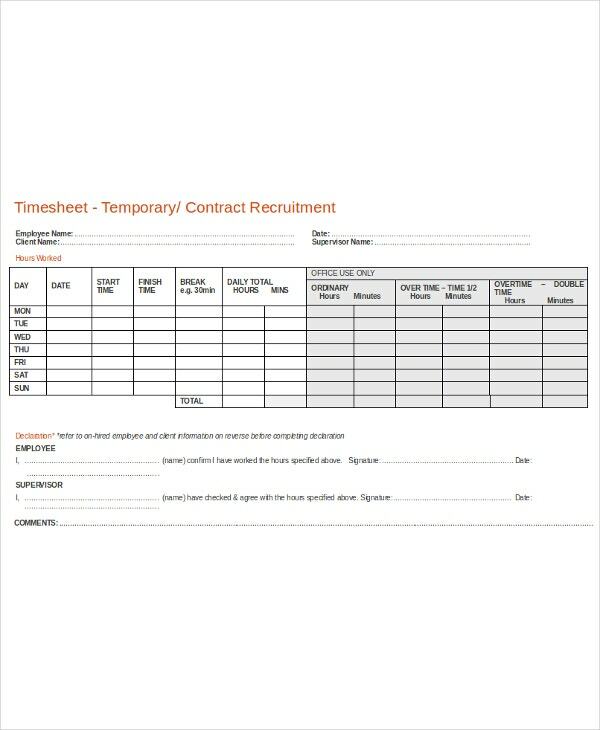 > However, what exactly is a Timesheet Template? A timesheet template is also known as time tracking template for employees. 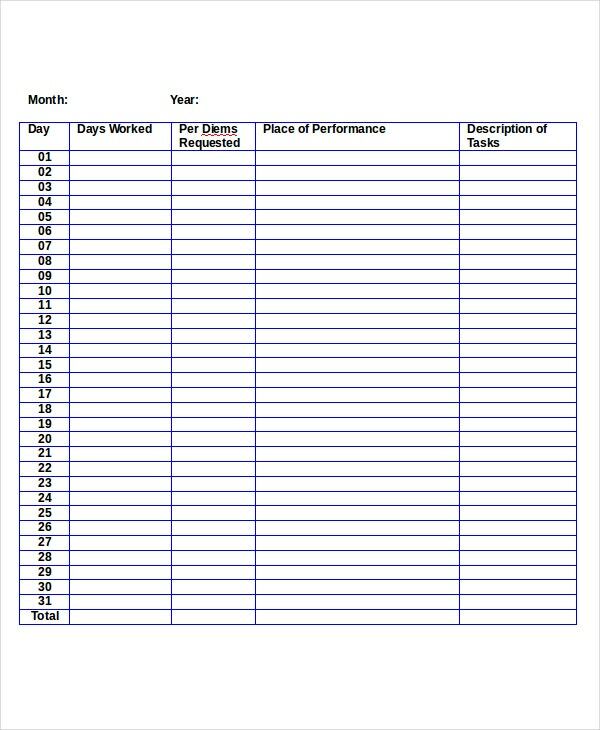 The template is a useful document that businesses and companies use to record the total number of hours that an employee spends working. Usually, there are two ways to categorize the template. 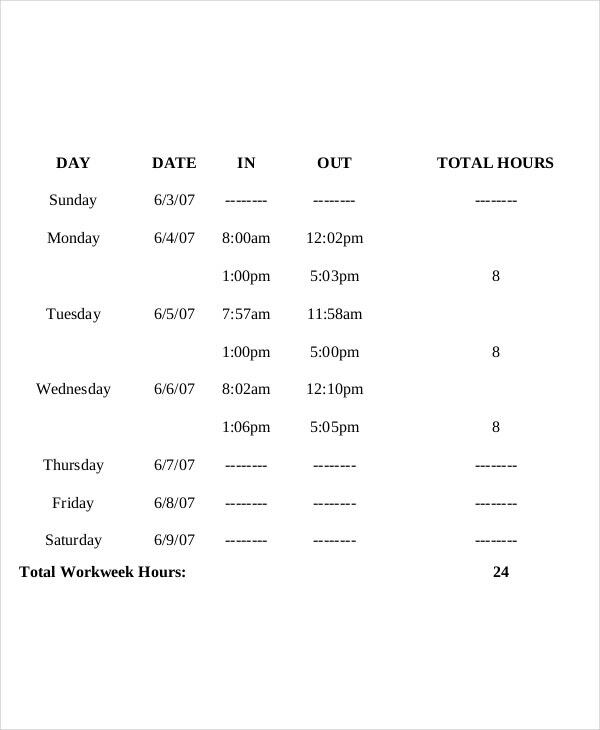 We have templates used specifically to record the total number of hours an employee spent working on a specific task. The other type of template is the one used to record and report the total hours a worker spend at the workplace. It is important to remember that invoicing is the primary reason why organizations often use the timesheet templates. Also, the records of the timesheet are used for payroll because the total number of hours one works will determine the amount of money they will be paid as salary. However, there is, indeed, an additional option; the option of downloading the template for free from the internet. Of course, a premade template is easy to customize, and you don’t have to spend a lot of time editing the template. The need to alter the design depends entirely on you, but the truth is you can print the template as is to save time. Tracking time is quite a difficult task, but for the sake of progress and the success of your company, tracking time must be part of your responsibility. Organizations that don’t track the time employees spend on project often have no idea how their employees perform at the place of work. The problems with failing to track time spent by employees on projects is that it is not possible to evaluate the performance of an employee based on hours spent at work. Therefore, if you have not started tracking how much time should into a project, this could be the best time to change your gears. Before outlining the rules, please remember that there is no a one-size-fits-all dos and don’ts for using the printable timesheet templates. However, you must observe the simple basics when using the templates. Below are few rules to keep in mind. 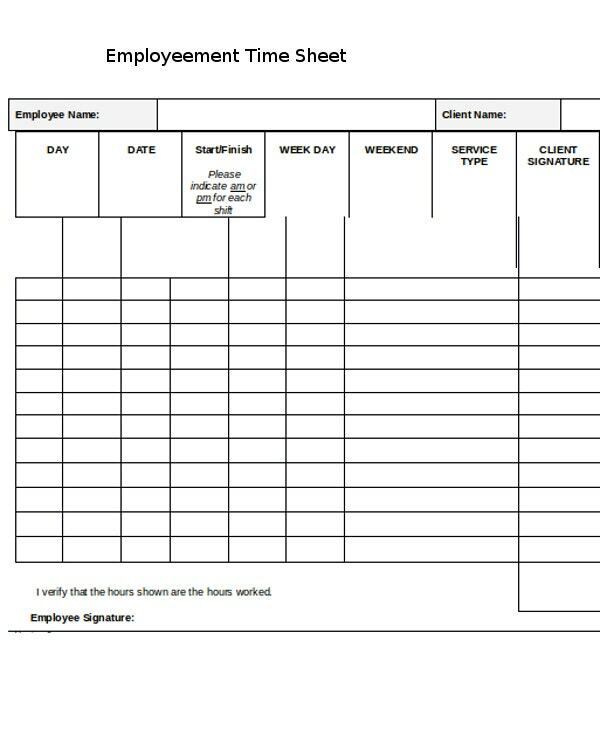 Each sheet must have the name of the employee whose time you need to track. Moreover, you should indicate the date range of the days you would like to track the time the employee in question spent at work. If you are keeping daily time sheets, you will not need the time range. You should write the day of the week instead. Employees work in different departments in the organization. It is important to indicate the department to which an employee belongs. This way, tracking the total number of hours they spend at work or on assigned project will be an easy task, to say the least. 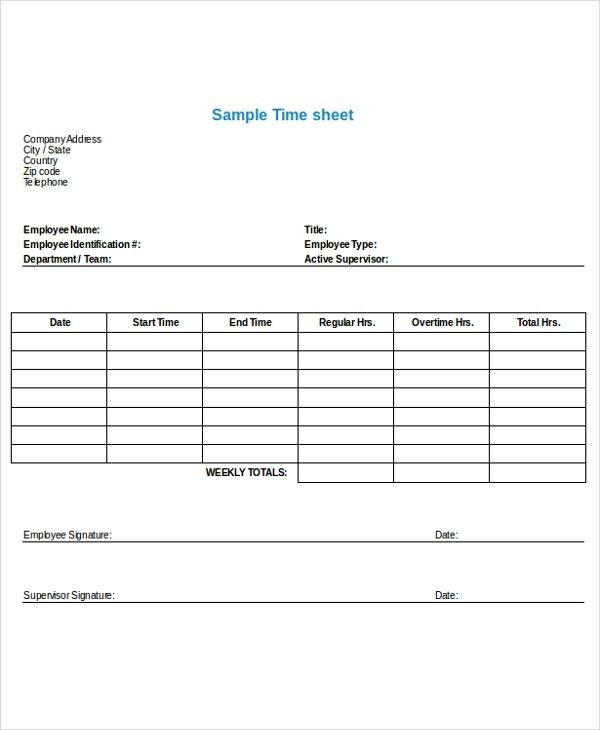 Timesheet Templates can be printed and distributed to supervisors in different departments. The supervisor should record the number of hours employees spend at work on a daily basis without fail.